We offer a full line of services for those who need to have reliable and safe transportation services while visiting Livorno. Since this is a port city, many of our clients are cruise ship passengers who are wanting stylish and comfortable transit to and from activities and sightseeing spots both in and around the area. We are more than happy to help make their shore excursions more pleasant by providing them with access to luxury Mercedes-Benz vehicles, and English fluent drivers who are always ready with a smile and an eager to please attitude. In addition for those clients who are disembarking and need transfer to the airport in either Pisa or Florence, we provide wonderful sightseeing opportunities that turn routine airport transfer into a special and exciting part of your vacation. The beautiful port city of Livorno on the western coast of Tuscany is one of the most popular destinations in all of Italy. The beautiful landscapes of the surrounding countryside, the fabulous seafood, the incredible shopping, and of course the historical and cultural locations throughout the area make it a must-have on your Italy itinerary. For many who arrive in the country via cruise ship, Livorno is the city that they experience, and in that role, it is a perfect ambassador of Italian culture and life. The city is massive, however, and there is so much to do that getting around as a tourist can be a daunting task. For this reason, Livorno is one of the cities that we very much recommend making use of a car service while visiting. 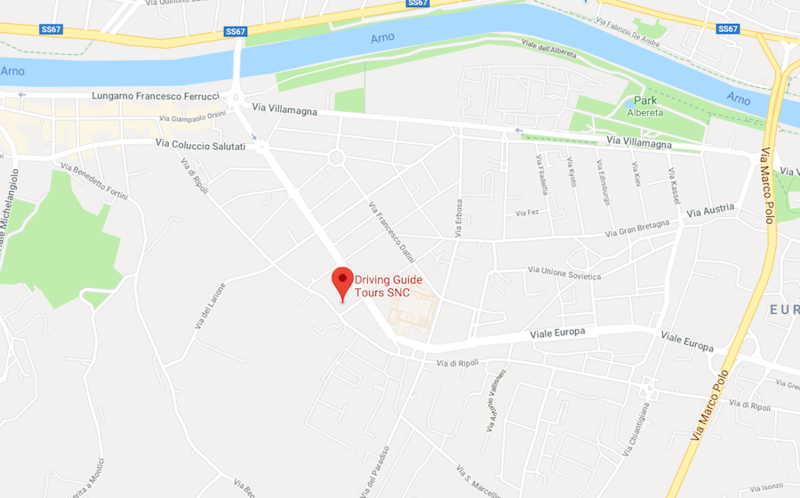 For extended stays in town, or just for transfers between the port and the city or the airports nearby, a Livorno limousine service can be a real help. Driving Guide Tours is one of the many premier providers of Chauffeur Service in Livorno, and without a doubt, we are the best. Our extensive collection of premium luxury vehicles, friendly and professional drivers, and top quality fleet of limousines make us the frontrunner of choice for the discerning tourists who arrive to Livorno as part of their Italian holiday. Choosing to have a shore excursion or a transfer in a limo is a smart move, and our English-speaking and highly knowledgeable drivers and driver guides can be your key to seeing everything that the area has to offer. We can recommend the best restaurants, shopping, museums, day tours, and more, and since we are not a travel agency or tour booking agent we can be completely impartial in recommending the best options for what appeals to you individually. A car hire service is a great way to get around. With a pickup service from your ship or hotel, there is no better way to see the area without having to use complicated and confusing public transportation, deal with language barriers, or have to deal with the risks of social ride-sharing services. The use of a car hire or limousine service lets you travel in style and comfort easily everywhere you need to go so you can enjoy your stay more and have less to think about on your vacation. If you are arriving via cruise ship and would like to take advantage of the wonderful variety of activities in the region outside of Livorno then why not do it in style. Let our fleet of luxury recent model Mercedes-Benz vehicles be put at your disposal for not only shopping and dining trips, but also for other activities and sightseeing opportunities in the greater Tuscany region. Within an hour or two from Livorno there are so many wonderful villas, gardens, wineries, and hill top towns that are just beckoning to be explored and experienced. We are proud to offer day tour to Florence, Pisa, Lucca, Forte dei Marmi, Viareggio, Cinque Terre etc. Let us help you make the most of your time in port, by providing you reliable, safe, and affordable transportation from the sea port to locations all over Tuscany. For limo service for tourism or even port or airport transfers, choose Driving Guide Tours. Our professional chauffeurs and driver guides are fluent English speakers and are anxious to help you get the most out of your time in the city. While there is an abundance of options for a chauffeur driven car in Livorno, there is only one smart choice that gives you more of what you need, want, and expect from your car hire provider, Driving Guide Tours. We welcome you to get in touch with us using our online contact form, or by using the chat box at the bottom of the screen. You can also call us from the United States and Canada by dialing 1-866-746-4348. If you are in the country, or are about to make port, please call us at +39 055-632930 to schedule request a car and driver for your needs. In the meantime, please look over the rest of our site to learn more about the day tours and packages that we can help you book while you are in the area. 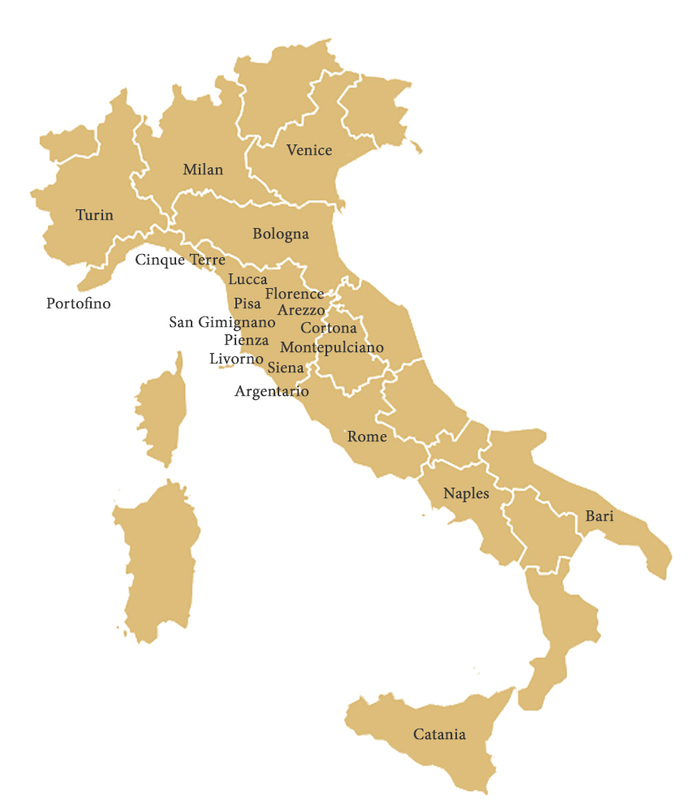 We look forward to helping you with all of your transportation needs in Livorno and the greater Tuscany region.